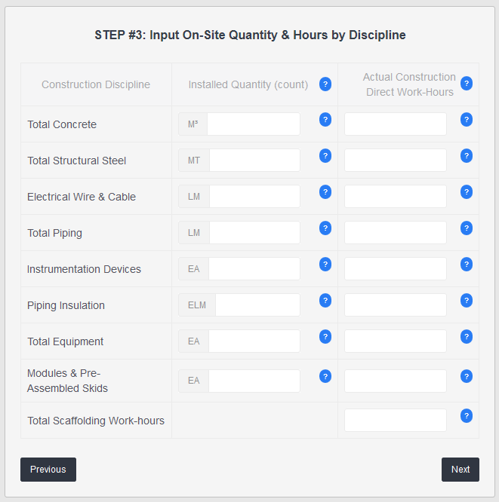 What is the High-Level Productivity Calculator (HLPC)? For decades, the construction industry has been plagued by poor project productivity, particularly the craft disciplines, as well as an incapacity to reverse the trend. We compare ourselves to other industries (E.g. manufacturing) and lament our decline while others have substantially improved. The key differentiators are the metrics for benchmarking and the discipline to change. The opportunity for change has arrived. In collaboration with CLMA, CII and CURT, we’ve launched the HLPC, which enables a project and its craft disciplines to be benchmarked against a validated project index. For more background information, click here. To start using the HLPC, you will first need to access CLMA® by clicking on the login & get started link below. The HLPC login is to the left once you’re on the page. You can either enter your email or sign-in as a guest. Please note, if you access the HLPC as a guest, your data and report will NOT be retained for future access. Be sure to print this report, save it as a PDF and/or make screenshots for your records. A full CLMA® account enables retention and retrieval of your data and report. There is no cost to use this version of the HLPC. For more assistance, please download the user guide & methodology document below. If you experience any technical difficulties with the app, please contact the developer at bdavis@myclma.com. 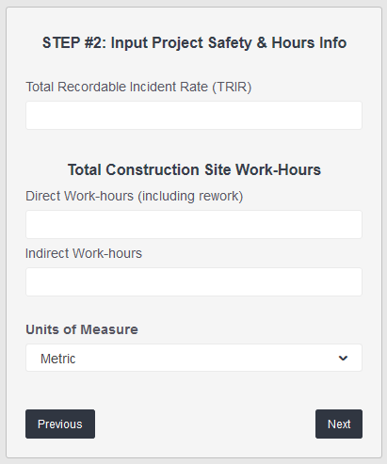 There are 5 easy steps to input your project data and generate the project productivity metrics. Please see above links to HLPC User Guide & Data Template for details. 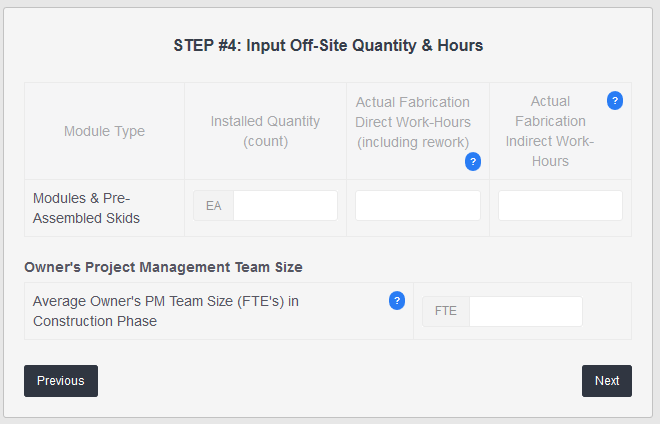 Once you have completed these steps, the productivity report will be generated. 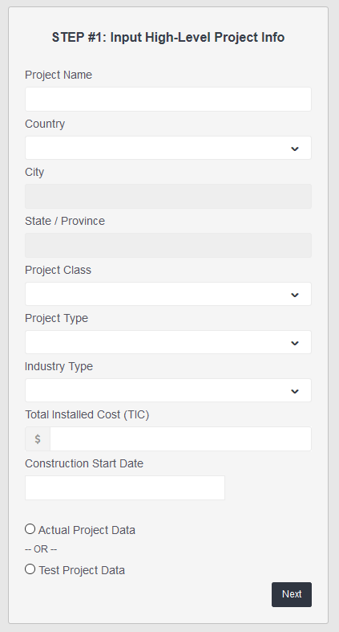 Click any step to see input screen examples.